Learn an overview of strategies for assuring your community efforts are sustained over time. Finding and keeping money for a group to do its work can be a challenge. However, financial sustainability is essential to allowing you to stay in the game long enough to accomplish your goals. Sustainability should be planned for early on, even as your initiative is conceived. This section provides an overview of common strategies for sustainability. No matter what other strategies you use in pursuit of financial sustainability, you will need to think about marketing your organization. We've all seen commercials, giveaways, and sponsorships of events by corporations, but how about marketing by and for nonprofit groups? "Marketing is a process that helps you exchange something of value for something you need." These kinds of exchanges occur all the time. For example, an adult literacy program offers education and skills training, which will lead to a more capable work force for employers in the community. In return, the organization that runs the program needs clients, referrals, and resources to allow the program to continue. The concept of marketing requires you to look at everything you do as potentially helpful or harmful to your campaign. When the receptionist at your office picks up the phone, you probably don't think of that as part of marketing, but it certainly is. How he or she greets the caller says a lot about your organization: what you do, how professional or casual you are, and so on. The same is true of the follow-up to that phone call--whom the caller talks to next, the information he receives in the mail, or the visit he makes to the agency. Image may not be everything, but it probably counts for more than we would like to admit. These activities are critical for building goodwill among potential donors. Another strategy for sustaining your initiative is collaboration with other organizations. Collaboration can take place in a variety of ways, from writing grants together, to sharing such resources as space, equipment, or staff. The important thing to remember when collaborating is to think carefully about who your natural partners are, and whether you share enough of a philosophical and practical base to work together successfully. Before you enter a collaborative arrangement, ask yourself whether and why sharing positions or resources would meet both your needs. A line item is a part of a budget that is dedicated to a particular need. For example, line items often exist for office supplies, payroll, and travel. Parts of your initiative may be picked up as a line item by another organization, especially if your operating costs aren't too high. For example, a church or council of churches may be willing to pick up the cost of running the local Peace and Justice Coalition, if the main costs are office space, a half-time coordinator, and basic office and mailing expenses. An organization may decide to pick up one of your programs as a line item. For example, the local school district may be willing to pay for a mentoring program your organization has started. Your organization may start an activity or service with the goal that, within a few years, that activity will be taken on by another community group. Ideally, the group will plan the activity with representatives from the community group that will be responsible for the program. A coalition might begin an after-school program, and plan for the YMCA to pick up the program after a few years. An organization might develop a school-based alcohol and drug abuse prevention program, with the goal of shifting its management to school health educators. The coalition might start a program to prevent homelessness, and work with the interfaith council to adopt it. Grant money may come from public sources or from local or federal foundations. Many communities have some community foundation or local trust whose funds must be spent locally, so take advantage of them. For our purposes in this chapter, grants mean monetary awards to your group or organization to carry out a community project you have proposed. However, grant awards are sometimes given in resources other than cash (e.g., travel expenses, time off the job), and occasionally, especially for research, grants can be made to individuals as well as groups. Personnel resources are people and positions that exist in other organizations and that can be shared by your organization for little or no cost. In-kind support refers to resources other than money that you would have otherwise needed to pay for with money. For example, the local hardware store might donate paint for renovations, or a local food bank may receive in kind support in the form of a commercial refrigerator or donated food. When someone volunteers to give you a service, supplies, or free help, you're receiving in-kind support. In-kind support can be an important part of a sustainability plan. If your group is going to succeed, you'll need more than just money: you'll want goods, people, and services, too. A fundraiser is an event sponsored by an organization to raise money for the group and its programs. Fundraisers usually require the group to provide a product, a service, or an event that will encourage others to contribute money. Examples of fundraisers include Girl Scout cookie sales, car washes, and carnivals. In each case, the group charges money for a product (cookies), service (car washing) or event (carnival) to raise funds to support their cause. Third-party funding takes place when someone not directly involved in work being done provides resources that allow two other parties to interact. The funder in these instances is called the "third party." For example, if a staff member and student are having counseling sessions, an HMO may reimburse the staff member's time if the student belongs to that insurance plan. Or, a private business may pay for the salary of someone from a nonprofit organization to do job training with adolescents. Usually, the third party has some interest in providing financial support. In the examples above, the HMO has an interest in a healthy client, and the private business has an interest in a better-prepared workforce in the area. A fee-for-service structure requires that clients pay for services as they receive them. For example, the local crisis counseling center may charge for sessions or parents may pay to attend a "Living Through the Teen Years" workshop. Charging fees may make your group's services less available to vulnerable populations. To counteract this, some groups use a sliding scale to make services available to more people. It's also not uncommon to have a policy of helping everyone regardless of ability to pay; if potential clients are unable to pay, the fee is waived. Another option is to offer some services free of charge, but have a fee for others. Another way to sustain your initiative is to obtain public money or resources. This is often money appropriated from a state legislature, city council, or other similar governing body. By working with your legislators or local elected officials, you may be able to acquire public funding for your group on an annual basis. An endowment is a gift given to an organization which is invested so that an annual income is produced. An organization uses the interest earned by the fund and leaves the principal to gain further interest. Planned giving arrangements are arranged in the present and allocated at a future date. These charitable gifts may be acquired through wills, trusts, gift annuities, life insurance, securities, and real estate. Planned giving arrangements are referred to as deferred gifts. Deferred giving is an arrangement between a donor and an organization in which the donor earmarks funds for an organization's future use. When the funds become available to the organization is decided upon by the donor. Some allow the organization to use a certain percent of the funds during the donor's life, while others make the funds available upon the death of the donor. Membership fees or dues can be another method for generative revenue. Dues are a simple form of income to generate. Because they come from your own members, dues test commitment to the group. Membership dues increase the organization's self-reliance. Dues tend to yield less money than outside sources. Sometimes, not enough potential members can afford paying dues to make dues collection worthwhile. Dues make money a condition of membership, which may be contrary to your group's principles. Some coalitions skirt this last point by calling dues "donations" or "sponsorship fees." Similar to that which can be used for fee-for-service programs, a sliding scale can lighten the burden for some members. You may also have different support expectations for organizations and single individuals. Some groups create a business to support their work. A business plan is a written document that describes in detail what kind of business you intend to operate, how you intend to operate it, and why you believe it will succeed. It is backed with logical, factual, and financial documentation. A business plan is similar in form to other types of plans you may have seen, however, "success" in this case is in large part defined by making a profit. Your group may decide to form a business as a nonprofit organization or form a separate "for-profit" side of the organization in order to avoid some of the regulations put on not-for-profit organizations. The above list of strategies gives you an idea of some possibilities for sustaining your initiative. No one option is best and there is no need to choose only one of the strategies; they can be combined. And more strategies can always be created. The question remains, however: how do we make these decisions? What is the best way to choose among strategies, and pick the one (or several) that make most sense for your organization? Look over the steps below, decide which make sense to you, and modify the process to fit your own needs. Decide who will make these decisions. If you have developed a financial sustainability committee, as we discuss in the next section of this chapter, these are the folks to do the work. If you don't have such a committee in place, you might consider forming one (or at least a temporary working group). Board members are often key to this type of committee. Choosing among strategies is easier, more enjoyable, and more effective with shared leadership. Have your mission, vision, and objectives in mind as you begin this work. This should help to orient you to what is important to think about. If you are working in a group, you might make a handout with your mission, vision, and objectives listed, so that they are right in front of members as they work. At the very least they are worth stating at the beginning of the meeting. Brainstorm possible strategies for your organization. You might start with the list given in this section, but be sure to think about options in the context of your own unique situation. Which of these possibilities definitely won't work? Which need to be modified for your group? How? Are there other possibilities that are unique to your organization? Gather input from key people, such as current funders, staff, volunteers, and clients. The more people you listen to, the more you can gain from different perspectives. Choose the strategy or strategies that make most sense for your organization. Diversifying your funding by using several different strategies provides security should one source dry up. Remember to be careful that you don't use all of your time and personnel resources trying to earn money or obtain resources. Try to strike a good balance. Also, take advantage of your current resources and talents. If your group has someone who is very good at writing winning grants, for example, write lots of grants. If, on the other hand, you have had excellent luck with state legislators, then work with them to continue getting state funding. In short--build on what works. There are many possibilities for funding. This section has only touched on some of the more common of these prospects; later sections go into more detail on each strategy. Think strategically about your funding needs to develop a vibrant approach that will allow your initiative to thrive for a long time to come. 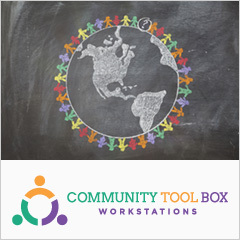 Community Building Resources is a training site that also provides information about funding opportunities in Canada. Children, Youth, and Families Education and Research Network (CYFER) researches the survival of community-based programs and has developed a training program on sustainability. 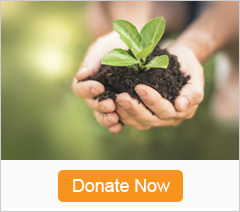 The Chronicle of Philanthropy is a comprehensive newspaper for the nonprofit world. Many of its features, such as the guide to grants, are by subscription, but much is available for free. The Grantsmanship Center Magazine contains articles and how-to information on fundraising, program planning, and nonprofit management. Free subscriptions, and back issues are available by e-mail. Smart Communities Initiative concerns sustainable development as a strategy for economic development that also benefits the local environment and quality of life. Amherst, M. (1994). Coalition building tip sheets. AHEC/Community Partners. Lefebvre, R. (1990). Strategies to maintain and institutionalize successful programs: A marketing approach. In N. Bracht (Ed. ), Health Promotion at the Community Level (pp. 209-228). Newbury Park, CA: Sage Publications. Rogers, E. (1983). Diffusion of Innovations. (3rd Ed.). New York, NY: Free Press.